Prof. Daniel Razansky measures tiny ultrasound vibrations evoked by light. His techniques revolutionize biomedical imaging by producing unprecedented views of everything from whole organisms to cells, noninvasively and with high spatial and temporal resolution. We talked with him about how he plans to apply the technique to neuroimaging in his new professorship at the University of Zurich and the ETH Zurich. Prof. Razansky: Our work is motivated by the urge to study life in the intact organism, which is essential for understanding the complex biology of living organisms in health and disease. The new hybrid imaging method my lab has developed over the last decade at the Technical University and Helmholtz Center in Munich is termed multi-spectral optoacoustic tomography (MSOT). It exploits inherent advantages of both light and sound. Basically, we “listen to light” by launching short-pulsed laser radiation into biological tissue and detecting tiny ultrasound vibrations induced by light absorption in tissues. With this technique we make use of the low scattering of ultrasound, thus breaking through resolution and penetration barriers. So we exploit the advantages of rich optical contrast, but relative to other optical methods, our technique provides a sort of volumetric “super-vision” through deep living tissues. What are the implications of your work? Our state-of-the-art implementations of MSOT are based on multi-wavelength excitation of tissues to visualize specific molecules at centimeter-scale depth within tissues. This fully non-invasive technology can simultaneously deliver structural, functional, metabolic, and molecular information from living tissues. We were also able to achieve ultrafast imaging performance, thus enabling new insights into rapid biological processes. For instance, we recently demonstrated simultaneous 3D imaging of dynamics of blood oxygenation and calcium signaling in whole mouse brains at an unprecedented speed of 100 volumes per second. 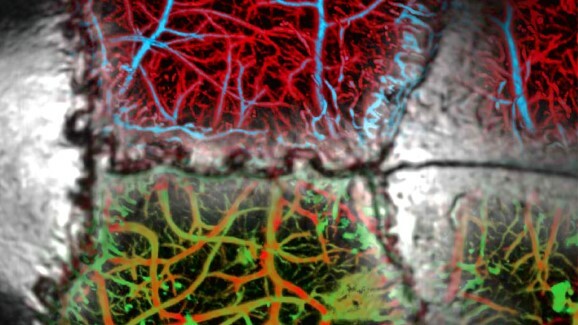 In comparison, existing rapid volumetric optical microscopy techniques are limited to imaging small cortical areas. On the other hand, whole brain imaging techniques like functional MRI are not sensitive to calcium signaling and can only generate about one image per second when greatly sacrificing spatial resolution. Our new imaging techniques have proven of great value in key areas of small animal research. We have further developed handheld imaging systems for clinical applications. These scanners can measure at a depth of 2-3 centimeter in the human body entirely noninvasively and are applied in e.g. cardio-vascular and breast cancer imaging, dermatology and diagnosis of inflammatory diseases. We have established a company in Munich that successfully commercializes the MSOT technology. Can the technique be applied in neuroscience? Neuroscience is perhaps the most fascinating field for the introduction of our new multi-scale imaging approaches. The knowledge collected using the existing neuroimaging and brain recording techniques has not yet resulted in a clear picture linking neural activity to high-level functionalities in the healthy and diseased central nervous system. This is largely due to our lack of ability to visualize rapid neural activity across the entire intact brain, including deep and normally inaccessible areas. Various brain initiatives from around the globe have outlined the urgent need for development of such new imaging technologies to advance brain research. What are your research plans? The way ahead is fascinating. Our initial feasibility studies demonstrating functional neuro-imaging with optoacoustics were accomplished using a coarse-resolution technology that is not yet suitable for monitoring large-scale neural activity on a cellular scale. In order to truly revolutionize the ways brain signaling is studied, we need to adapt the technology for high resolution functional neuro-imaging applications. There are a number of challenges. How to achieve real-time volumetric imaging at cellular resolution while retaining a large field of view containing millions of neurons? What are the optimal markers for direct optoacoustic monitoring of neural activity deep in the brain? How can we efficiently account for signal deterioration due to the skull? What are the possible clinical translation routes for this new imaging technology, also beyond imaging of the brain? 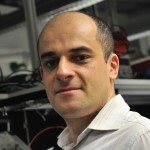 Much of the boost for new innovations will also come from my active ERC grant supporting development of functional optoacoustic neuro-tomography methods as well as two new collaborative NIH grants to work on novel genetically-encoded activity sensors and image-guided ultrasound neuromodulation in behaving animals. I look forward to working in the excellent neuroscience-oriented environment of the UZH and ETHZ to introduce novel neuroimaging techniques through numerous collaborations.